Thank you so much to Charlston Uytanlet for these photos! Pretty!!! I like the whole outfit! And you weren't even prepared! :O You rock! @Elilea, awww thank you so much for appreciating, my dear!! ♥ Haha! It's good to have basics in your wardrobe! @Michael, hey!! :D Thanks dude! Haven't seen you for a while! :| Soon! @Momma Earth, WAAA!! 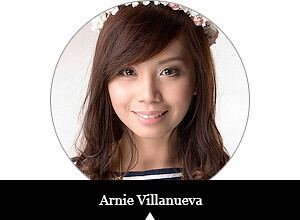 Haha grabe smile ko at the moment Ms. Earth na you dropped by in my blog. I'm so humbled. ♥ Haha na-starstruck eh no! Sobrang thank you po! Haha I have to practice that smile! @Gellie, thank you love!! >:D< Hope to see you very soon! @Arra, wow! I like Say and her awesome talent! ♥ Thank you for that dear! Hahaha yes I have to practice that, I still feel awkward about it eh. Don't know why! HAHAHA! But thanks again! ganda ganda ng anak ko! manag manag sa mommy :) so proud!! Prettiness! :) The stuff are great too. @Pretty Ugly, awww thank you so much!